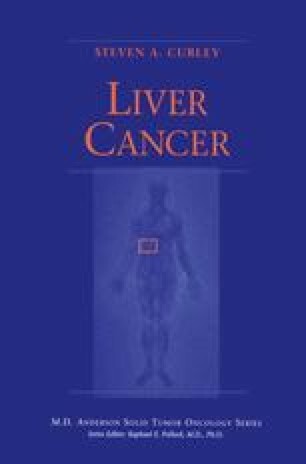 As noted in Chapter 2, most patients diagnosed with hepatocellular cancer (HCC) are not candidates for resection. In some patients unresectability is based on the presence of extrahepatic metastasis at the time of diagnosis. Many more patients with HCC confined to the liver are not candidates for resection because of large tumor size, multicentricity, adjacency or direct invasion to major blood vessels, or concomitant cirrhosis with inadequate functional hepatic reserve.